With so much excitement, you’ll build up an appetite. 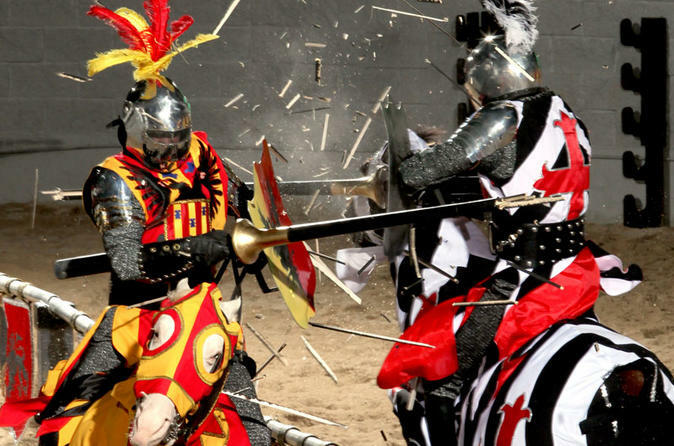 The castle’s serfs and wenches will serve a delicious “hands-on” medieval-style four-course meal that includes garlic bread, tomato bisque soup, oven roasted chicken, herb-basted potato, corn cobbette, pastry of the castle, coffee and non-alcoholic beverages. There are also delectable vegetarian, Halal and Kosher options. A full-service bar is also available for adult guests.